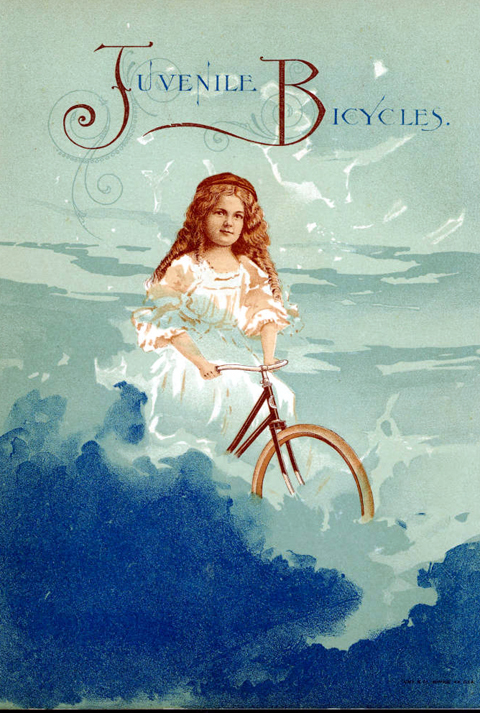 The Fairy ‘Sidewalk’ Bicycle was a popular child’s bike in the twenties. 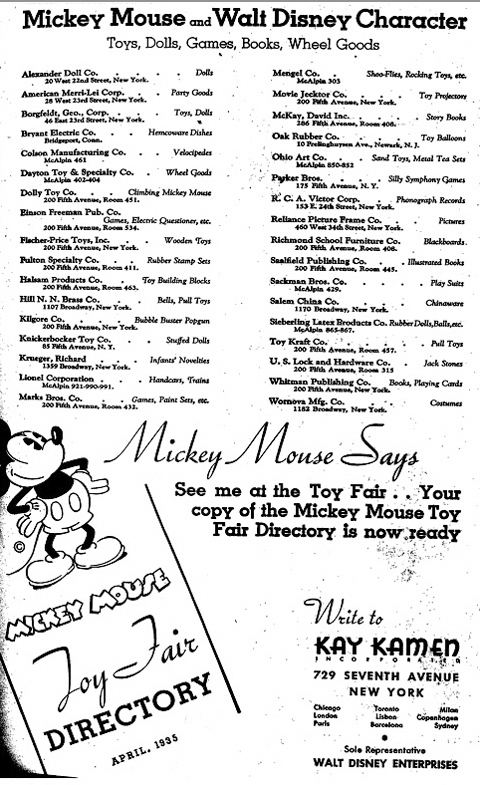 It was marketed extensively both in America and Great Britain. For many folks of a certain age it provided the first means of wheeled propulsion. Lines Bros created the famous ‘Tri-ang’ brand name after WW1. The Fairy Cycle was advertised on the side of the Tri-ang toy bus. I’ve not yet found any reference to this tricycle in any Lines Bros catalogues. But, as you can see, it’s similar to the ‘Fairycycle & Sidecar’ seen below, in the 1922 Lines Bros catalogue: it has identical wheels and chainwheel, and the seat tube is upright. The seat tube slants in the 1923 Lines Bros catalogue, so I have assumed this type of vertical seat tube to be a means of dating Lines Bros bicycles and tricycles as either pre- or post 1922. 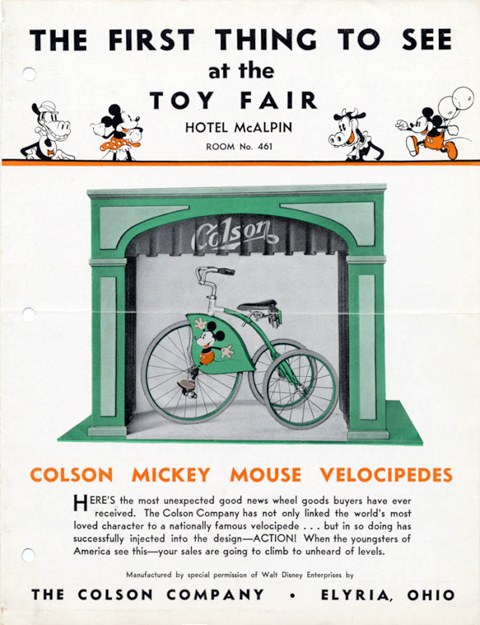 While the seat tube is upright on the Fairycycle in the 1922 Lines Bros catalogue (above), the 1923 catalogue extract, below, illustrates a slanting seat tube on the Faircycle. Winslow Fay, a cart maker, established his company in 1885, patented various improvements to tricycles and also manufactured tricycles adapted to suit invalids. 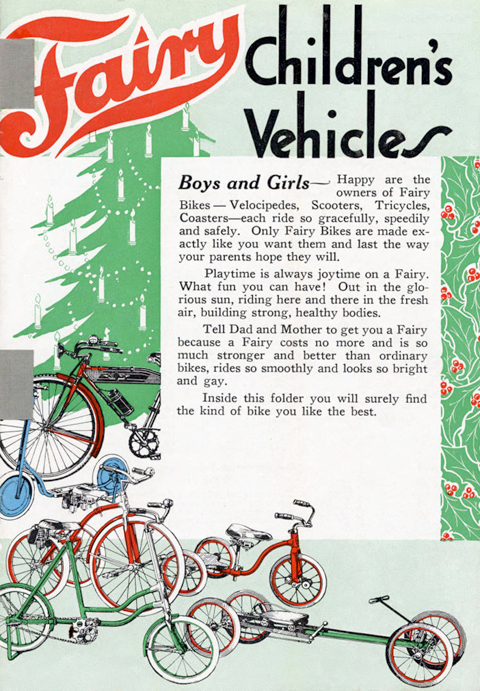 Other products included a dirt scraper used to smooth the roads for cycling, as well an adult tricycle that he had designed marketed under the ‘Fairy’ name. He subsequently made a children’s Fairy tricycle too. Come on you chaps! Look at this Fairycycle! With balloon pneumatic tyres, powerful brakes and glittering handlebars – what a bike! What a proud machine to ride! Fancy going out to tea on it! Fancy turning up at school on it! Fancy other chaps crawling round! 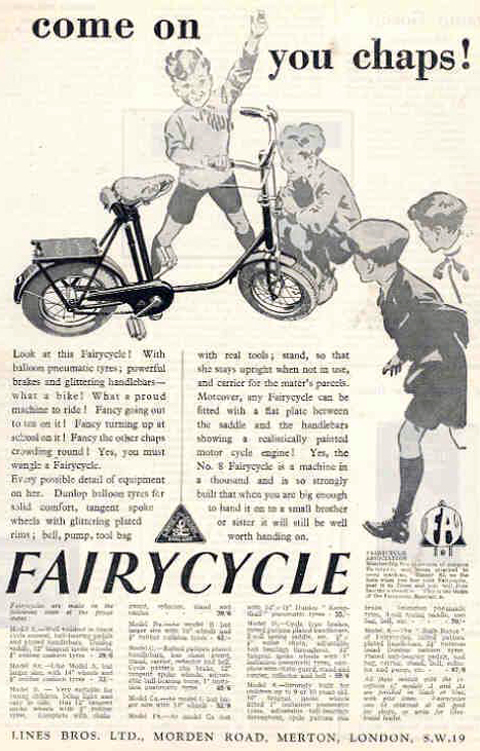 Yes, you must wangle a Fairycycle.